Business lunches in Melbourne are a big deal. From semi private spaces to purpose built private dining rooms, our guide to the best restaurants doing business lunches lets you find the right venue for your next important lunch meeting. You can review restaurants by cuisine, features, and location. 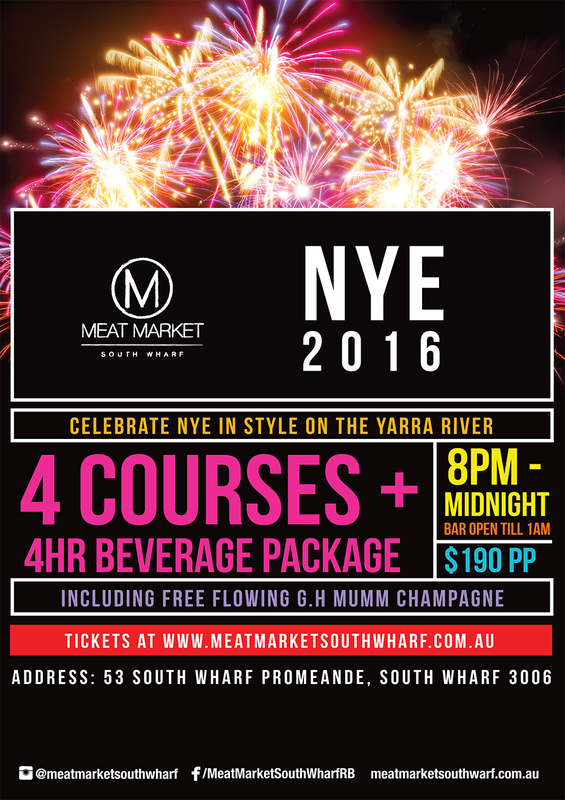 Meat Market South Wharf is a Restaurant / Bar and function and event venue in Melbourne's newest dining precinct, South Wharf. Inspired by the Australian BBQ, where the grill takes centre stage and the act of cooking is part of the social occasion, sit at the central open kitchen and interact with our chefs or dine alfresco on the terrace and enjoy the views of the Yarra River, Melbourne City, Melbourne Convention and Exhibition Centre, Crown Casino and the Docklands. Our farm friendly philosophy is a reflection of our social and environmental responsibility and our aim to provide you, our customer, with the best quality products. Our menu is an eclectic mix of meat dishes from small snack or sharing items right up to steak sharing platters. There is something for everyone ... including vegetarians. Located in the heart of East Melbourne, Geppetto Trattoria serves up simple, rustic dishes with a particular focus on pasta, seafood, and slow-cooked meals. Conveniently located across the road from the MCG and the Melbourne Sporting and Entertainment Precinct, Geppetto Trattoria is the perfect place for a pre-match or pre-concert meal. In 1981, Nino Cea opened Geppetto Trattoria with the vision to create an unpretentious eatery that focused on Italian home-style cooking. This idea was inspired by those eateries found in his hometown region of Puglia in Italy. With his son Adriano, the tradition continues. Geppetto Trattoria has a variety of seating and catering options for your next function.